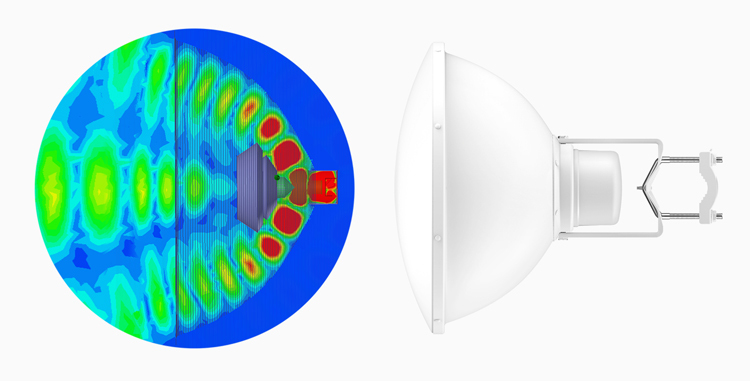 The airFiber X antenna delivers 2x2, dual-polarity performance. On the right is one example of how the airFiber X antenna with an airFiber X radio can be deployed as endpoints in a backhaul link to deliver bandwidth from a WISP network out to a neighborhood tower. From there, an airMAX® Sector antenna with a Rocket™ radio delivers bandwidth to the WISP’s customers. 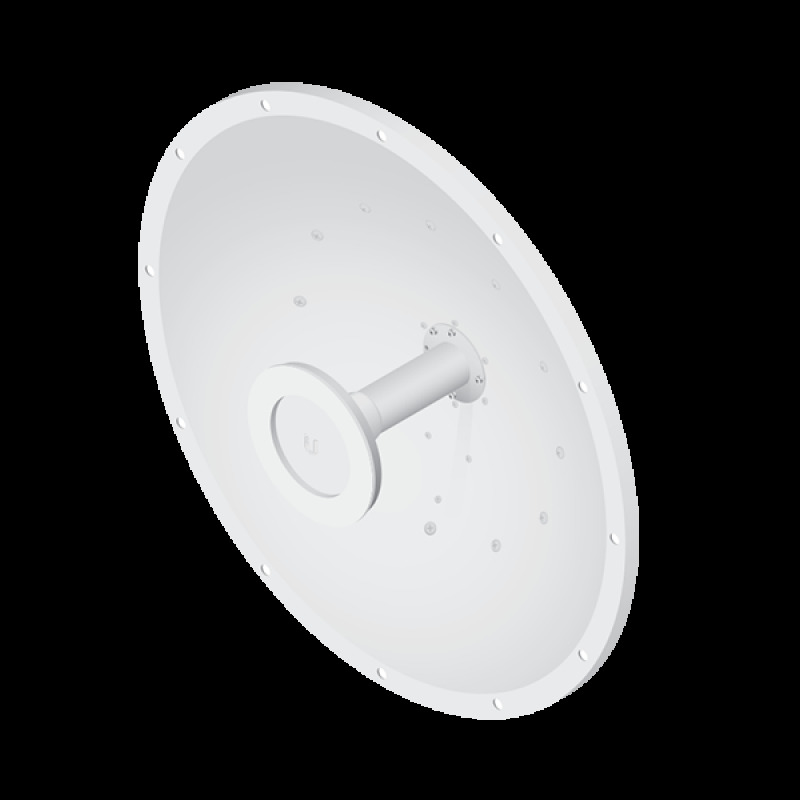 Incorporating a dish reflector design for excellent beam directivity, the airFiber X antennas feature robust mechanical design using industrial-strength hardware for outdoor application use. 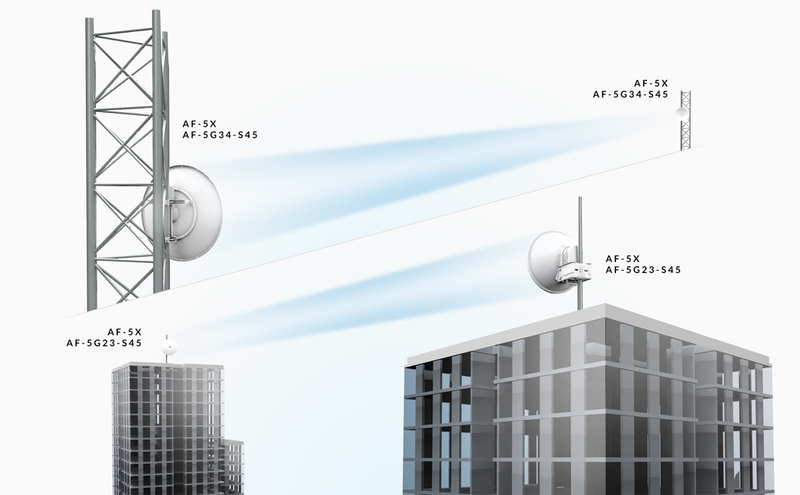 airFiber X antennas and airFiber X radios have been designed to seamlessly work together. Every airFiber X antenna has a built-in airFiber X radio mount, so installation requires no special tools. Secure Pole-Mounting Maintains the position of the dish during harsh outdoor conditions.